Are you interested in starting a career as a motor insurance assessor? 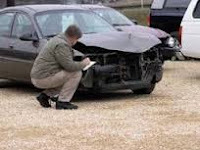 The role of a motor insurance assessor is to assess damaged motor vehicles to ascertain repair costs and make recommendations. They also provide post-loss valuation estimates for stolen and written-off vehicles. The registration requirements of motor insurance assessors is laid out in Section 150 of the Insurance Act Cap 487 of the laws of Kenya. The following are the requirements. The name of the company should be in order and in line with section 190 of the Insurance Act. The applicant must have passed or been exempted from Certificate of Insurance (COP) examination with a pass in Motor Insurance for motor assessors. The exam is offered by the College of Insurance. The applicant should have a qualification in engineering.